“Humans are electromagnetic beings. Our cells continuously communicate with each other through electrical micro currents. 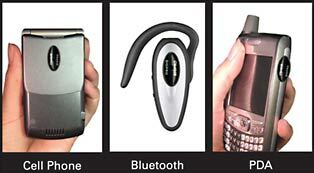 Wireless technology (i.e. cell phones, WiFi and WiMax wireless internet, radar, radio/television broadcast) transmits information through the use of electromagnetic radiation in the radiofrequency/microwave range. This ever-increasing background radiation has the ability to disrupt the communication between our body’s cells, resulting in abnormal functions in the developing cells of children, as well as adults and other living creatures. While some people experience disability in the short term from exposure to transmitted radiofrequency and microwave radiation, there are long-term public health implications as well. Microwave and radiofrequency radiation are now being associated with attention deficit disorder, autism, sleep disorders, multiple sclerosis, Alzheimer’s disease and epilepsy, as well as asthma, diabetes, malignant melanoma, breast cancer, and other illnesses that have become increasingly more common. Please see http://www.bioinitiative.org to read a review of the peer-reviewed science on the long-term risks of exposure to transmitted microwave and radio frequency radiation. Studies finding no health effects are predominantly industry funded. (see footnote 12) Exposure is often involuntary. For instance, even out here in the country the meters on my neighbors’ homes are increasing my exposure. Sensitive people in town are in even more danger and are usually chronically ill, unable to recover. A report by Hallberg and Johansson(see footnote 13) published recently in Pathophysiology asks the provocative question about whether the recent (1997 and later) increase in exposure to microwave frequencies may be responsible for the recent decline in public health in Sweden. The data seem to say that public exposure to microwave frequencies is a likely culprit. Microwaved blood kills patient In 1991, there was a lawsuit in Oklahoma concerning the hospital use of a microwave oven to warm blood needed in a transfusion. The case involved a hip surgery patient, Norma Levitt, who died from a simple blood transfusion. It seems the nurse had warmed the blood in a microwave oven. This tragedy makes it very apparent that there’s much more to “heating” with microwaves than we’ve been led to believe. Blood for transfusions is routinely warmed, but not in microwave ovens. In the case of Mrs. Levitt, the microwaving altered the blood and it killed her. It’s very obvious that this form of microwave radiation “heating” does something to the substances it heats. It’s also becoming quite apparent that people who process food in a microwave oven are also ingesting these “unknowns”. Because the body is electrochemical in nature, any force that disrupts or changes human electrochemical events will affect the physiology of the body. This is further described in Robert O. Becker’s book, The Body Electric, and in Ellen Sugarman’s book, Warning, the Electricity Around You May Be Hazardous to Your Health.